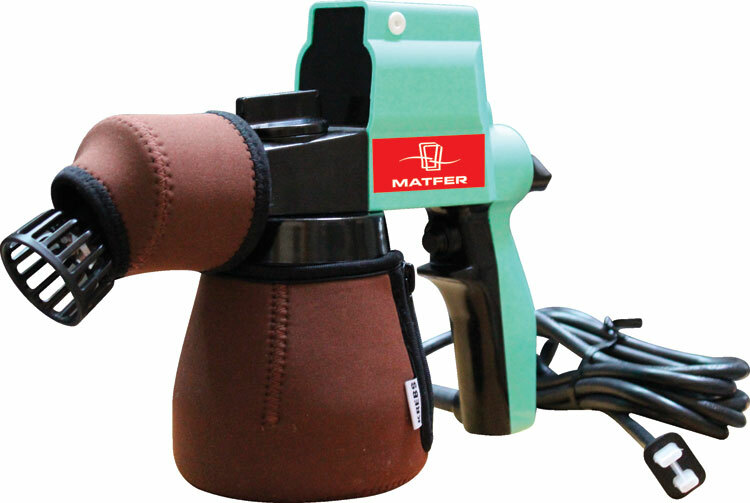 This innovative heated chocolate sprayer has been designed specifically to spray a warm mixture of 50% chocolate & 50% cocoa butter at 28-35C: ideal for finishing, velvet/frozen effects, moulds, speckling pralines, cakes etc. Heating & insulation avoids nozzle clog. It also includes an R6 round nozzle, a bent nozzle extension and a 550ml container. For pure cocoa butter, buy the optional R4 nozzle. Needing only 40 Watts, it is precise and benefits from minimal overspray. Main Users: Pastry Chefs, Artisans. Viscosity*: 20-28 DIN/sec. Delivery Rate: 120-200g/min.